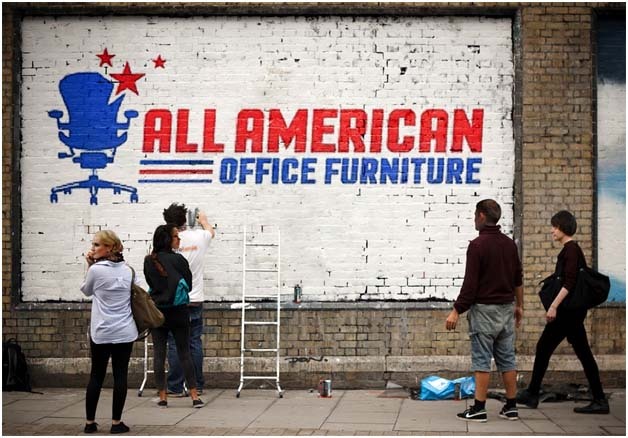 All American Office Furniture provides custom solutions for all your furnishing needs. We believe each company is distinctive and one-size-fits-all approaches for office design and furnishing will never help your business reach its full potential. Learn more by contacting us today! When you shop with All American Office Furniture, our team of experts and designers will ensure that your furnishing process goes smoothly. When we work with you, we roll up our sleeves and become your business partner. We know the challenges businesses face and our consultants have been there. We are past owners and operators of businesses and can relate to you as a business professional. When it comes to furniture for your office, you want to make sure you’re getting the best combination of form, function, and value. We are furniture experts specializing in office furniture solutions. Our services include design and layout, fast efficient delivery of furniture from our catalog, and installation performed by hand-picked skilled professionals. We stock thousands of furniture products that are available for immediate delivery. We can also special order additional furniture products. Whether you need just a few chairs or complete furnishings for a new office, were ready to serve you with advice from competent professionals. Contact us today to get started!